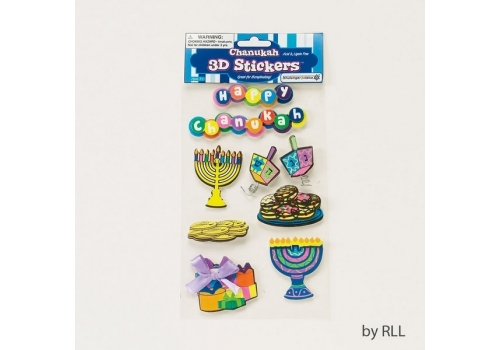 This set of Chanukah stickers comes with 1 sheet of assorted Chanukah items including a 2 menorahs, 2 dreidel, sufganiot, gelt and presents. These stickers are 3-D with a bit of a sparkle. 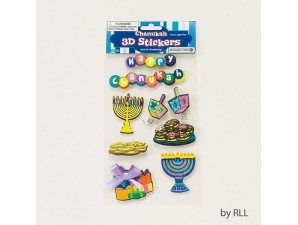 Great addition to any Chanukah arts and crafts. Also amazing for scrapbooking! Stickers are acid and lignin free!